Citymakers: Los ciudadanos no son el producto. 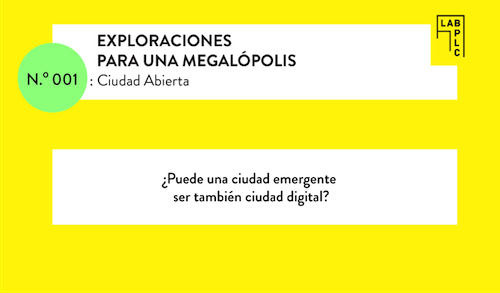 A talk for the event Exploraciones Para Una Megalópolis, No. 001: Ciudad Abierta, hosted by Mexico City's Laboratorio para la Ciudad (Lab for the City). It's a critical take on recent attempts to collect citizen's data on the streets (mobile phones, computer vision, etc.) for advertising purposes and a hopeful look at citizen makers and urban prototyping.